Yes, we know, likening your body shape to a fruit is not always...ideal. So feel free to swap out pear for a triangle shape, or just embrace your curvier waist and hips (like we are!). Pear shapes have the unique advantage of looking great in every pair of jeans imaginable and making dainty tops look even daintier with their narrower shoulders. 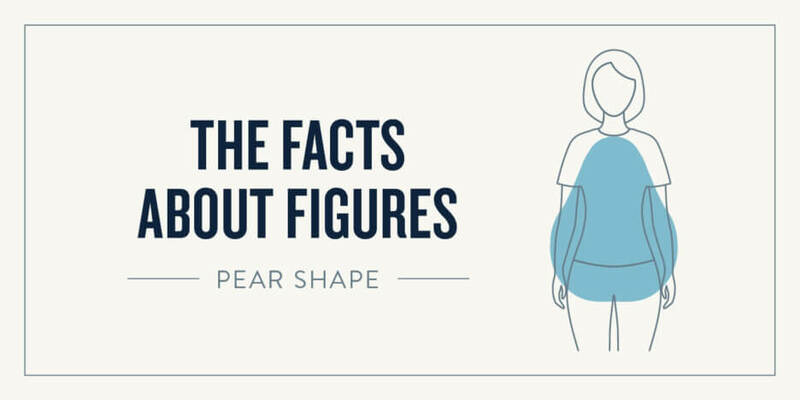 No matter what features you want to flaunt (or hide), we're here to help you dress your pear-shaped figure. So what’s a pear shape anyway? The name of the game is playing with proportions that elongate the body. Pear shapes look fabulous in statement tops that draw the eye upward and highlight the waist, back, or neckline. Ready for more good news? Accessories like dramatic necklaces and earrings are your secret weapon. Generally speaking, more fitted or structured tops give you definition around your narrow shoulders and draw attention to your narrow waist. If you tend to be on the curvy side, this is even truer—make sure to show it off! As is true with every shape, where your jacket hem hits will make all the difference. Pear shapes look great in A-line and princess cuts, waist-length jackets, and any piece of outerwear that hits mid-thigh. Boxy coats can totally work on you, but as a good rule of thumb, you’ll want to go for a cropped style that emphasizes your waist. Oh, the options! Dropped and embellished necklines, open backs, dramatic sleeves, and belted styles will all play up your more slender upper body. A-line styles also look fantastic on you, which goes for skirts too. Any hemline that hits right below the knee will elongate your frame and slenderize the hips and thighs. Maxi styles are right up your alley as well. And bonus: They’re super comfy. Since you’re having so much fun with prints and dynamic top shapes, it’s a good idea to choose more subtle and dark colors on the bottom. Bootcut and flare denim styles are great go-tos, and do for your lower half what a strong shoulder or neckline does for your upper half by balancing proportions. For those on the petite side, bootcut and classic trouser fits are elongating. If you’re into flares, a floor-grazing fit over heels will do wonders! Yes, yes, yes! Statement or chunky, layered necklaces that hit above the bust were made for you. Love earrings? The bigger, the better! And few body shapes can rock a wide-brimmed hat like you, dear pear. Everybody and every body is different. If you’re not a pear shape through and through, think of mixing and matching shapes to find the right fit for you. These dressing guidelines are best used as a starting point! And, we believe the best place to really get the lowdown on how to dress your body is from real women. From petite, to curvy to everything in the middle, here from all shapes & sizes in our series: My Body, My Style.